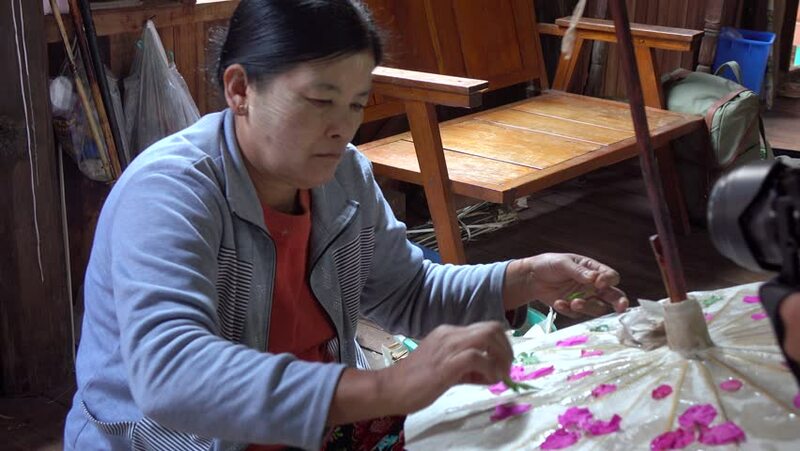 INLAY, MYANMAR - SEP 22, 2015: A woman working at the factory in Inlay, Shan state, Myanmar. sd01:061970s: Patients gather at a rehab facility, and a counselor talks with a patient during after care at a rehab facility in the 1970s. 4k00:24Adult woman sews on the old manual sewing machine. Glasses are dressed and gray cloth is sewn on.